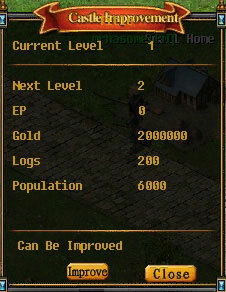 needed when a lvl 1 castle is uplevled to lvl 2. First, enter the castle map at Cronus market(293, 447). 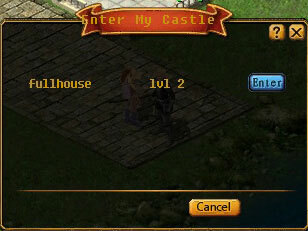 Talk to the castle keeper and choose to 'Enter the castle'. 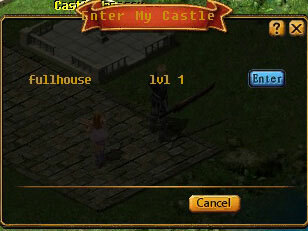 Then you can choose 'My Castle' and Enter. 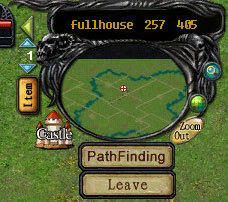 Click the 'Castle' button in the upper right corner. 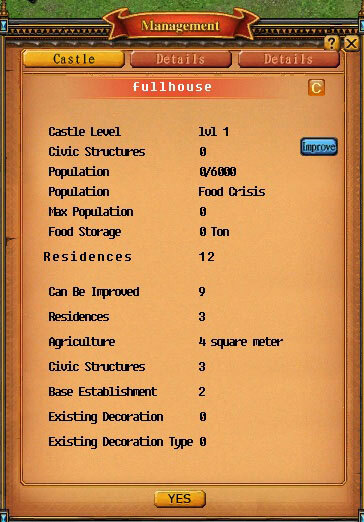 Then click 'Castle Management'--'Improve', the Castle Improvement page will pop up. 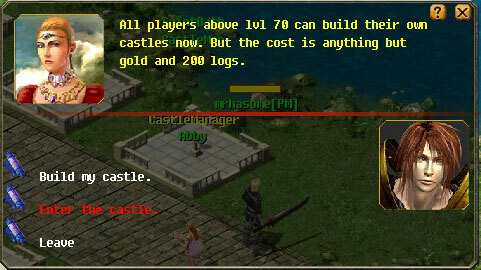 In this pannel, you can check your castle's current level, ep, gold, logs and people needed for the next level. 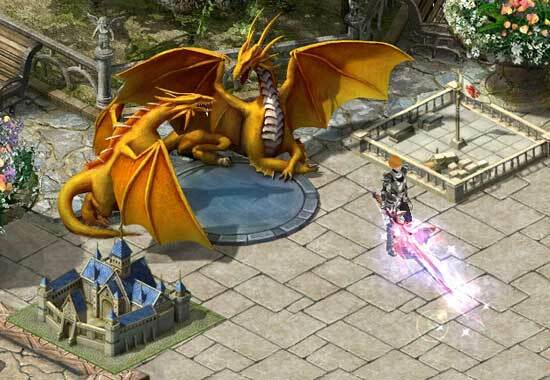 When everything is ready, your castle can be improved upon. When you click 'Improve', you'll be sent back to Cronus market. 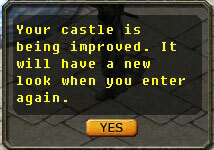 And you will see this message: Your castle is being improved. It will have a new look when you enter again. 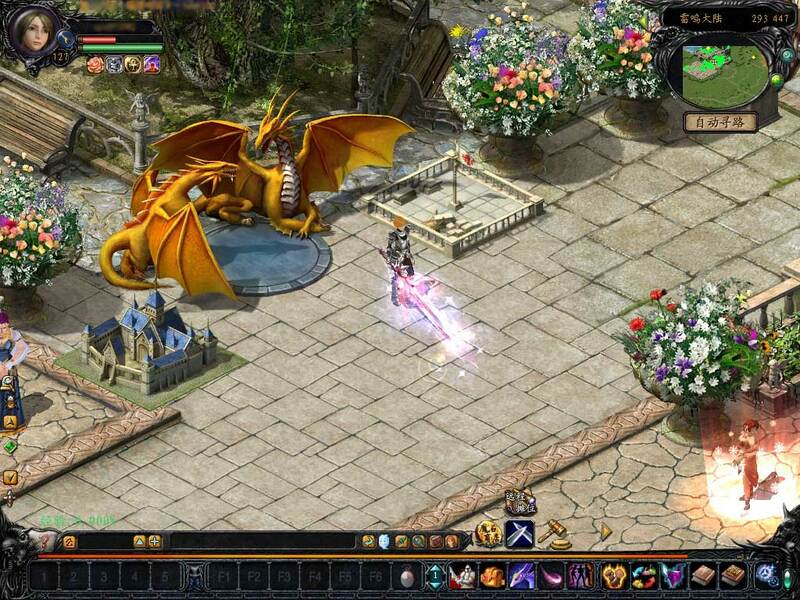 Enter your Castle again and you'll find it's lvl 2 now! 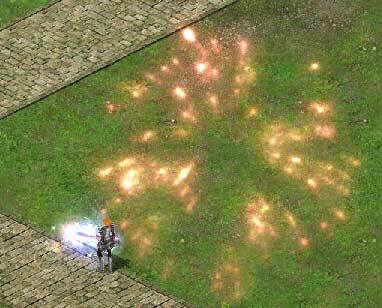 And if you enter your castle, there will be a system message like this: Your people are very happy about castle improvements and so are having a big party.